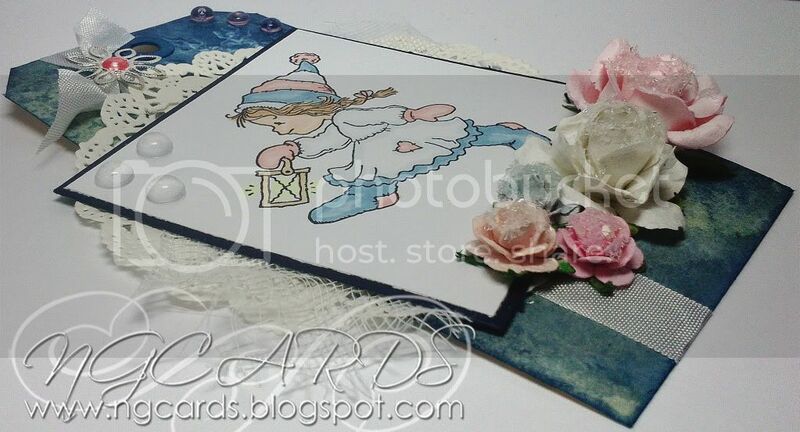 On Monday I shared a card with you all using a Bildmalarna Stamp and today I am sharing a tag! I wanted to make the image the main focus so this tag is pretty straightforward to make. 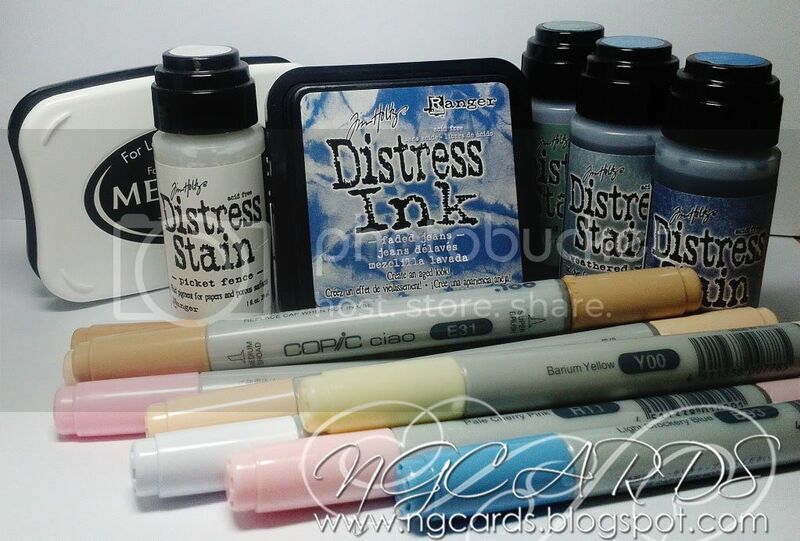 To create the tag spritz a tag with water and swipe over with 3 Distress Stains. 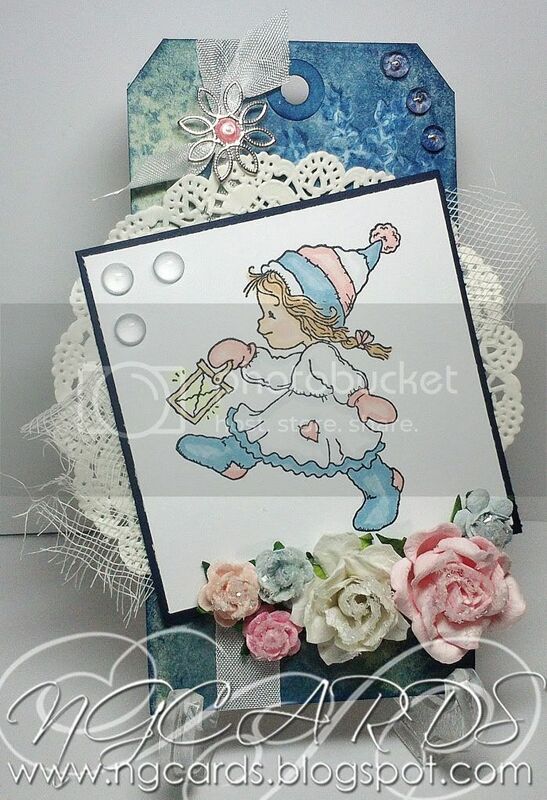 Once dry use a snowflake stamp and the Picket Fence Stain to create a patterned background, repeat once more with Distress Ink and then blend around the edges. 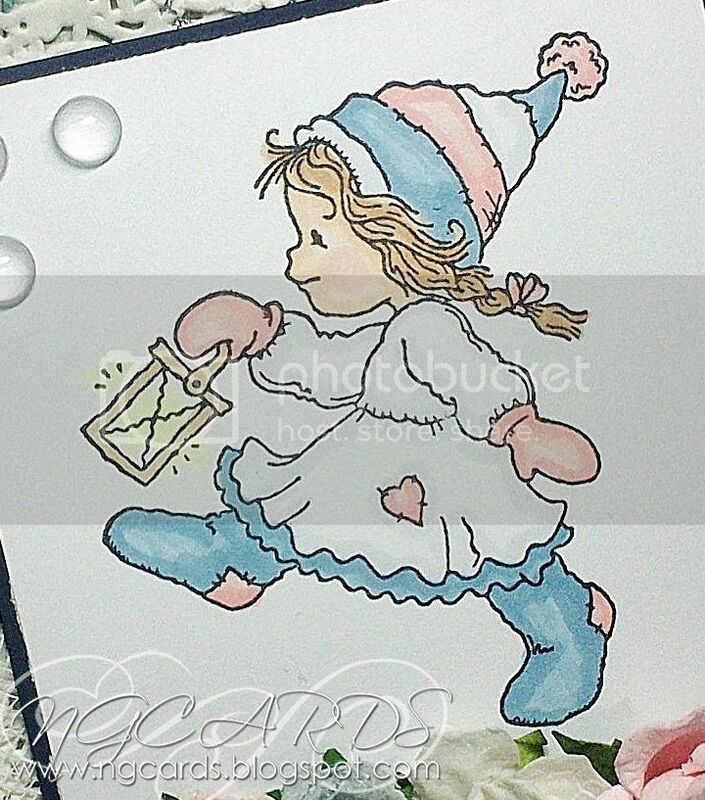 Fix some White ribbon and a paper doily onto the tag, placing your image on top and then embellish the tag.